The second Facebook contest that we ran in the fall of 2011, with a goal of reaching 150 likes was Vickie B who lives in Laurel Mississippi. 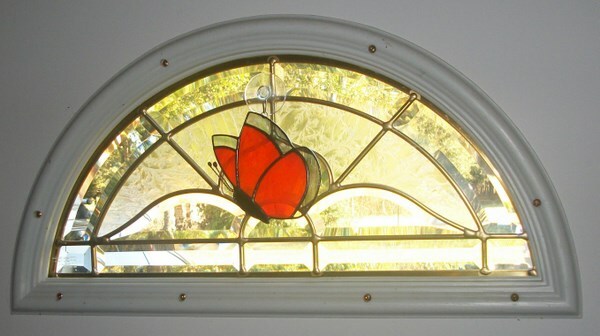 Here is the butterfly that she won, proudly displayed in her home. In 2009 we made this for a client who’s wife was from Japan. Upon her arrival in Canada she fell in love with the beauty of our Dandelions. 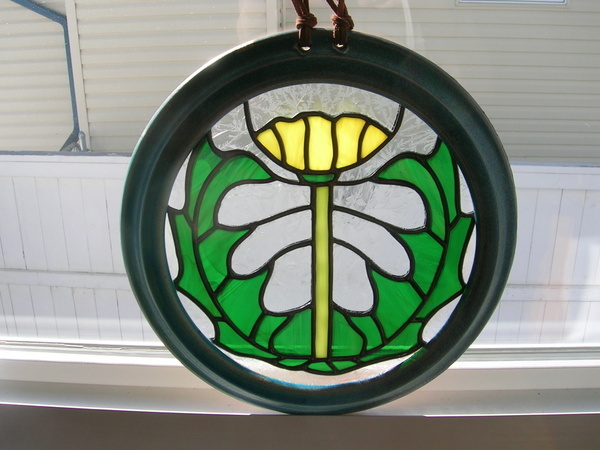 He asked us to make a stained glass Dandelion in a pottery ring that he had made for us, to commemorate her appreciation of the Dandelion, which she now enjoys year round. In the fall of 2011 we started a Facebook contest to increase the number of Likes and our 1st goal was to reach 125 Likes on our www.facebook.com/windowsofthewest Facebook pages. Our 1st winner was Karen R who lives in Southern Alberta. 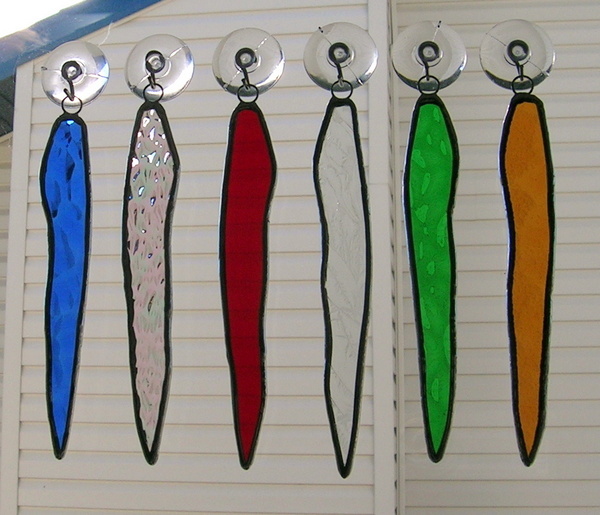 We intend on restarting this contest in the future, however before doing so we have 2 more winners, stained glass prizes to put on our website. 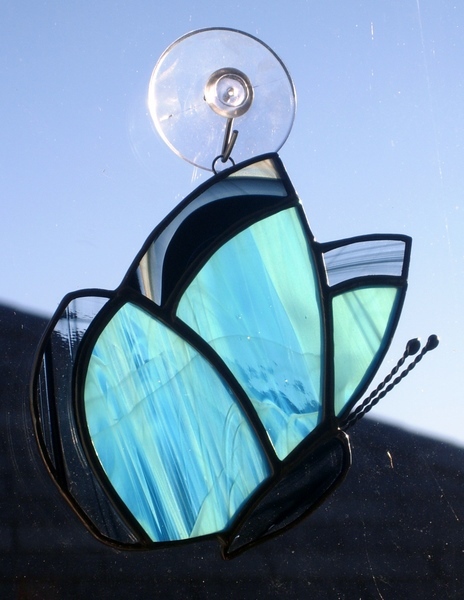 Enjoy and of course a big thank you to all those stained glass fans who support our Web and Facebook sites. 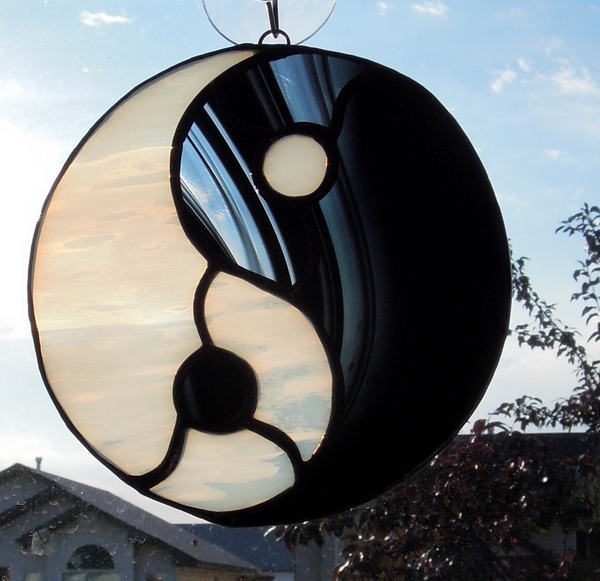 We made this traditional black & white Ying Yang in 2012, using a Spectrum Black/Clear Baroque Glass as it allows some light to flow through it rather than all black glass which allows no light to pass through it.